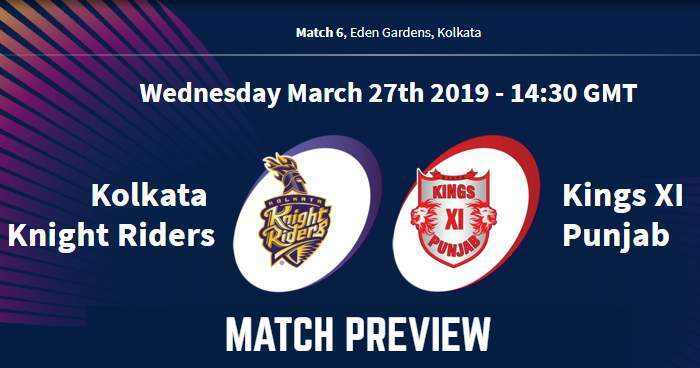 Kolkata Knight Riders (KKR) will take on Kings XI Punjab (KXIP) in the 6th match of the Indian Premier League - IPL 2019 at Eden Gardens, Kolkata on 27th March 2019. As far as weather is concerned, it will be a windy evening with humidity above 65% and the temperature around 27°C. On Tuesday there were little showers but rain will be away during match hours, but morning showers can be seen. 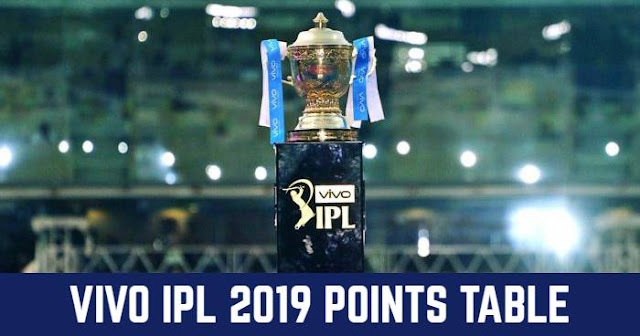 Both teams are coming with a win, having stolen victories from the jaws of their opponents in their opening match of the tournament; Kolkata Knight Riders beat Sunrisers Hyderabad and Kings XI Punjab beat Rajasthan Royals. The good news for Kolkata Knight Riders is that Sunil Narine has healed and was bowling in the practice session. Narine injured his fingers during the match against SRH due to which he didn't open the innings with Nitis Rana. Kolkata Knight Riders are more likely to go with the same winning XI. Sam Curran can be replaced by Andrew Tye due to the expensive overs in the last match. David Miller and Karun Nair are on the bench which can come in place of Nicholas Pooran and Manish Pandey. Kolkata Knight Riders (KKR) and Kings XI Punjab (KXIP) have played 23 matches against each other in Indian Premier League. Out of 23 matches, Kolkata Knight Riders have won 15 matches and Kings XI Punjab have won the remaining 8 matches. In last 11 matches between Kolkata Knight Riders and Kings XI Punjab; Kolkata Knight Riders have won 9 matches and Kings XI Punjab have won only 2 matches. At Eden Gardens, out of 10 matches between them, Kolkata Knight Riders have won 7 matches and Kings XI Punjab won only 3 matches including the last encounter between them in IPL 2018. Gayle requires four more sixes to become the first player to hit 300 sixes in IPL. He was the first to 100 sixes (in 2012) and 200 sixes (in 2015) as well.